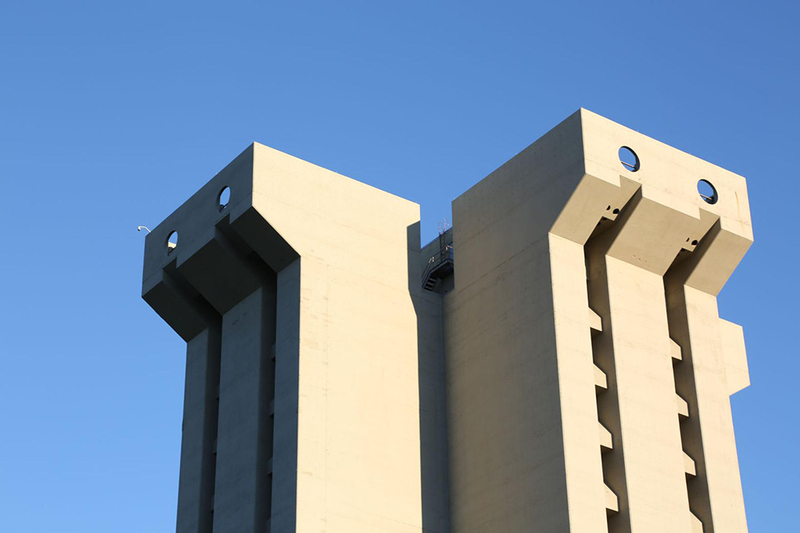 The University of Cincinnati’s Crosley Tower, a 16-story concrete brutalist structure designed by local firm A.M. Kinney, is slated for demolition. The tower, which was initially built for chemistry and biology labs in 1969, has fallen into a state of near-disrepair, according to university officials, and its inflexible cruciform design means that it can’t be readily adapted to new uses or renovated. Around 2010, the facade began to spall, with concrete hailing down into the surrounding plaza, forcing major resurfacing as well as the addition of protective barriers. To make matters worse, faculty members report leaking ceilings and faulty elevators. University officials state that the additional protections and changes only bought about another decade for the building before it again could begin to crumble and need further work, and officials have opted for demolition instead. The precise method of tearing down the tower has yet to be decided. There has been a proposal to methodically disassemble the building from the top down with jackhammers, as well as the more dramatic proposal of a controlled implosion. In advance of its destruction, the university is working to make headway on a new building to make up the lost space. Getting a lot of messages about some supposed "plans to demolish Crosley Tower." Don't worry, I will be here forever and whichever mortals dare raise a hand against me shall be smited and the memory of them ever having existed will be erased from this world. While often such brutalist structures, so common at U.S. universities, draw the ire of those with aesthetic oppositions, Dale Beeler, the university’s director of project management, told the student-run newspaper The News Record that “[It’s] nothing personal about the building—it just doesn’t warrant the physical expenditures that would bring it into the next 30 or 40 years.” Of course, not everyone is taking the demolition lying down—a Twitter account speaking as a personified version of the doomed tower was made this past spring with the hashtag #DefendCrosleyTower.